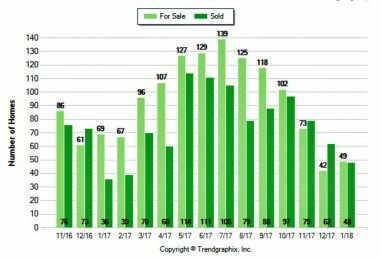 January sales numbers are in, and the Folsom housing market, like many others around the state, suffers from high demand on a short supply. Compared to last year at this time, sales were up, listings were down. It's a familiar story, yes? The month ended with 49 homes for sale in Folsom, and 48 sold. Worse yet is the type inventory available. Whether for affordability or psychological reasons, many buyers try to stay around or under $500,000. The average home sold in Folsom in January was just under 2100 sq ft, and went for $526,000. 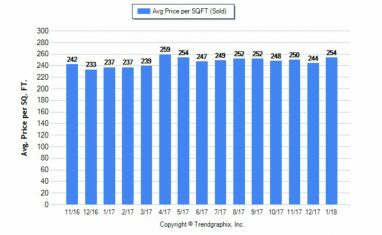 23 buyers snagged homes for under $500k in Folsom last month, but today, out of 54 homes for sale in Folsom, only 8 are below $500,000. Waiting for something to happen. Waiting for what? Interest rates to rise? They have, and the general consensus is that they will continue to creep up. This can cause affordability issues, forcing a drop in prices. When that happens, the houses may be cheaper, but payments may be close to the same. So, you might the the that 2100 sq ft house in Folsom for less out the door, not saving on a monthly basis. Also note that with our increased population and household formation, more buyers coming from the Bay Area, and lack of tradespeople to build more houses, the supply is likely to stay strong while inventory remains low. I expect to see more Bay Area people coming up this way, selling their 80 year old cracker boxes for $1.5 million, and perhaps buying some of the higher end homes here. I've had a few of those recently. If you are a home owner who's been waiting until 'next year', well, it's here, and buyers are waiting for you. Like me, nearly every active Realtor I know has got a list of clients waiting for the right home to come along. Do you want to buy, sell, or just cry on my shoulder? Drop me a line. What is the current/historical price per foot in Folsom and how does that compare to other local cities? I will get some detail on how we compare to other markets (we are usually higher than all major communities other than Granite Bay, which is much smaller) next week, but for now, look at where we are today vs the peak of the market. The system doesn't have an easy way of putting all of that data in a graph form (I may do that later), but I can give you some general information. 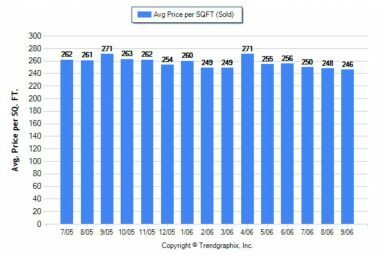 The peak of our market was late 2005 into 2006, then prices bottomed out at the beginning of 2012. So, you can see that we're not quite where we were at the peak, but getting close to it. Affordability-wise, we're ahead, because interest rates were in the upper 6 to 7% range back then, compared to around 4.5% now.